Every Digital Eye Lab lens is engineered to account for the most minute variations in prescription, face and frame measurements. They provide increased visual clarity and superior cosmetics. Specifically, Digitally surfaced backside PALs have a 38% wider visual field, maximizing distance, intermediate and near viewing zones. This virtually eliminates swim and instability along with all of the distortion inherent in conventional PALs, ensuring the highest level of patient satisfaction. 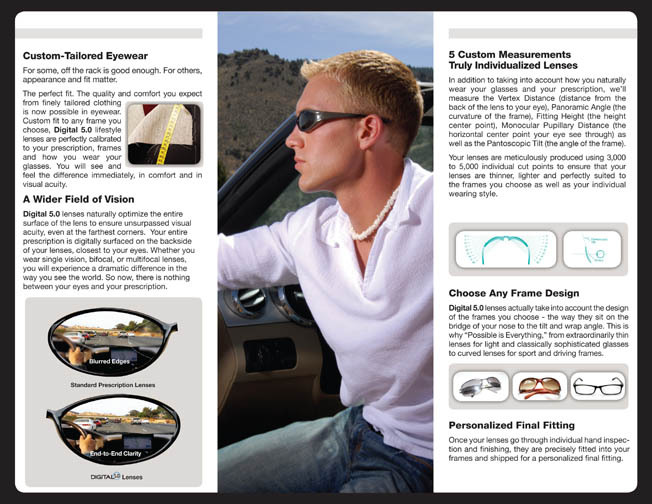 Parrelli Optical offers the most exacting measure system in the optical industry. 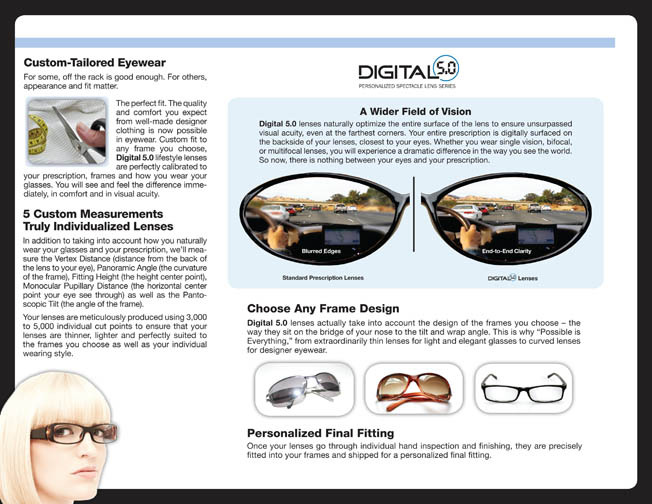 Cyber-Eyes, provides computer generated accuracy in all the critical measurements to assure your complete satisfaction with your new Digital Eyewear.